In a world policed by telepaths, Ben Reich plans to commit a crime that hasn't been heard of in 70 years: murder. That's the only option left for Reich, whose company is losing a 10-year death struggle with rival D’Courtney Enterprises. 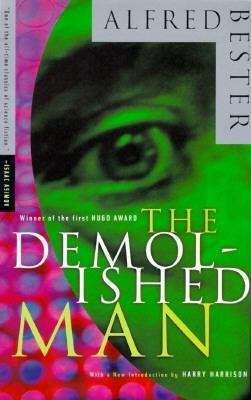 Terrorized in his dreams by The Man With No Face and driven to the edge after D’Courtney refuses a merger offer, Reich murders his rival and bribes a high-ranking telepath to help him cover his tracks. But while police prefect Lincoln Powell knows Reich is guilty, his telepath's knowledge is a far cry from admissible evidence.